Attleboro, MA could be an alternative for the Pawtucket Red Sox (Class AAA; International League) as they continue their new ballpark search, though the team is emphasizing its focus on Pawtucket. With their lease at McCoy Stadium set to expire after the 2020 season, the PawSox are pitching the construction of a new ballpark on the site of an Apex department store in Pawtucket. The team and some local officials have touted the plan as a potential catalyst for development in downtown Pawtucket, though Rhode Island and city leaders continue to debate the plan. An alternative could be Attleboro, where the site of a former Cumberland Engineering plant off of Interstate 95 is reportedly in play. Several months ago, we hinted at Attleboro as a possible candidate to land the team, noting the option of a Massachusetts city that borders Rhode Island and would allow the team to continue serving Pawtucket/Providence market. 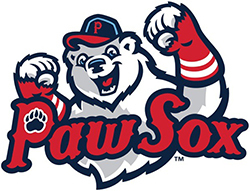 It would also allow the PawSox to keep another MiLB team out of Pawtucket and Providence due to territorial rules. Cumberland Engineering once operated inside a century-old mill building just west of Route 95, along the S curves that snake through Pawtucket and Attleboro. Back in the mid-1990s, the company was creating machines to shred waste plastics for recycling. The “fairly large site” is perhaps 8 to 10 acres and is now empty, after the company closed years ago and the building was razed, Attleboro Director of Planning and Development Gary Ayrassian said Friday. Ayrassian said he knew nothing of the PawSox owners’ examination of the property, and he did not know if the team has spoken with anyone in city government. In 2015 there was a tentative proposal to build a water park on the property, but nothing came of it. A lack of highway access was cited as one of the reasons. That same lack of access could be a problem if the property moves higher on the PawSox radar screen. The proposal in Pawtucket calls for the ballpark to be constructed as part of an $83-million project that would include $71 million in public bonding, with the team paying $33 million and the city and state combining for the remaining $38 million. Worcester, MA is one of the other locations that has been linked to the team in its ongoing search. RELATED STORIES: RI House Speaker: No Plans for PawSox Ballpark Vote This Year; Worcester Taps Consultants for PawSox Ballpark Pitch; Raimondo: Current PawSox Ballpark Legislation is Adequate; Economists: Development Key to PawSox Ballpark Deal; Request for Team Financial Data Could Trip Up PawSox Ballpark Deal; Senate Panel Holds Final PawSox Ballpark Hearing; Some PawSox’s Financial Details Released; City Council Backs PawSox Ballpark Resolution; Pawtucket City Council to Consider PawSox Ballpark Plan; Rhode Island Official Offers Support for PawSox Ballpark Plan; RI Officials Ask for Info on PawSox Financials; Officials Plan Taxing District Around Proposed PawSox Ballpark; Rhode Island Holds Latest PawSox Ballpark Hearing; PawSox, City Shift Worcester Focus on Site; Senate Panel Conducts PawSox Ballpark Hearing; Rhode Island to Begin PawSox Ballpark Hearings; Pawtucket, Worcester Continue PawSox Ballpark Push; Advisory Team to Consider PawSox Ballpark Plan; Worcester Passes Resolution on PawSox Effort; Worcester Mayor: Let’s Make Play for PawSox; Janet Marie Smith to Assist PawSox in Ballpark Search; PawSox Front Office Meets With Worcester Officials; Worcester Bravehearts Weigh In on PawSox Reports; PawSox to Field Ballpark Pitches from Other Cities; Worcester Could Make a Run at PawSox; New PawSox Ballpark Bill Emerges in Rhode Island Senate; Could Pawtucket Lose PawSox?